Zoodles, where were you for the first 27 years of my life? I got a spiralizer (zoodler, as I say) about 2 years ago and it has been such a great addition to my life. Zoodles are a great way to make a healthy, vegetarian dinner thats guilt-free and delightful. 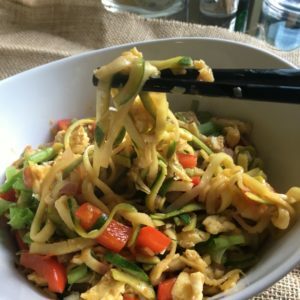 This recipe is a basic vegetarian pad thai zoodle, that is quick to whip up for lunch or dinner. 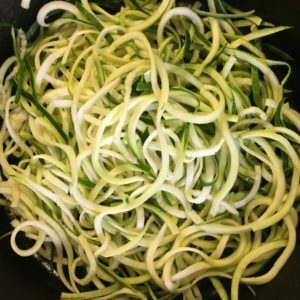 Use your spiralizer to make your zoodles. Fold into a dry paper towel and allow to sit while you prep your other ingredients. 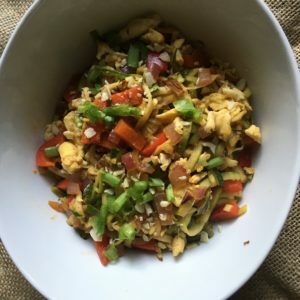 Combine lime juice, hoisin, soy sauce, sriracha, and honey in a small bowl and whisk together. 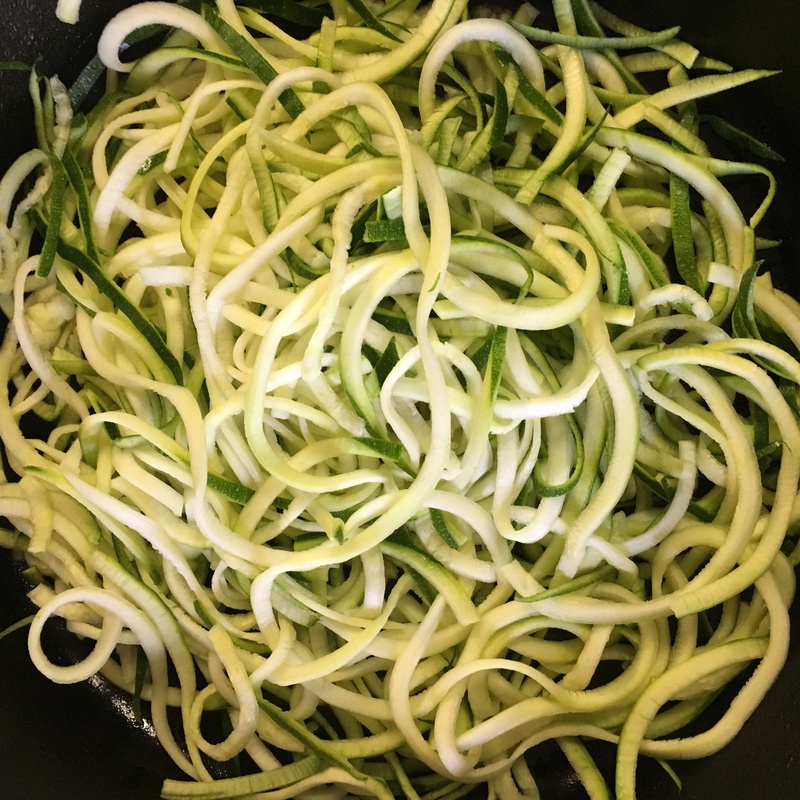 In a pan on medium heat, quickly sauté zoodles for about 3 minutes and set aside. This helps get rid of the remaining water that didn’t drain from the zoodles onto the paper towels. Whisk the eggs and milk and scramble to a light fluffy consistency. Transfer to a bowl and set aside. Sauté garlic, ginger, onions, and peppers in sesame oil. When the onions become translucent and soften, add in the mixed sauce. Heat through for 2 minutes and add in cornstarch. Mix thoroughly. Add the zoodles to the pan and stir fry for about 3 minutes until tender. Then add in eggs and crushed peanuts and toss completely. Serve immediately or reheat with green onions and lime wedges as garnish.